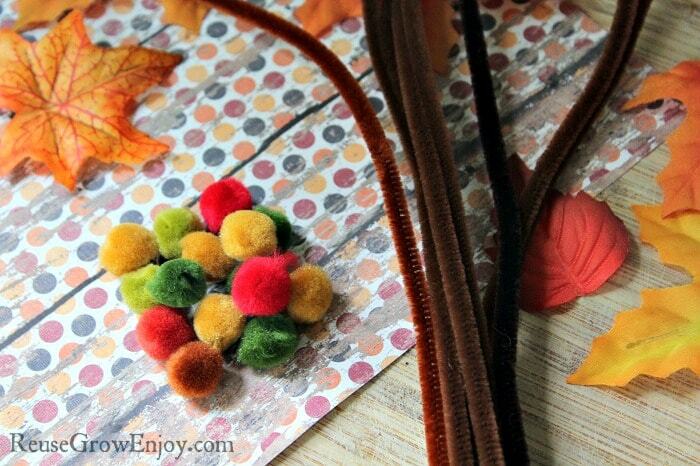 Looking for an easy fun fall craft to do? Maybe even one you can do with the kids? If so, I have just the thing for you! 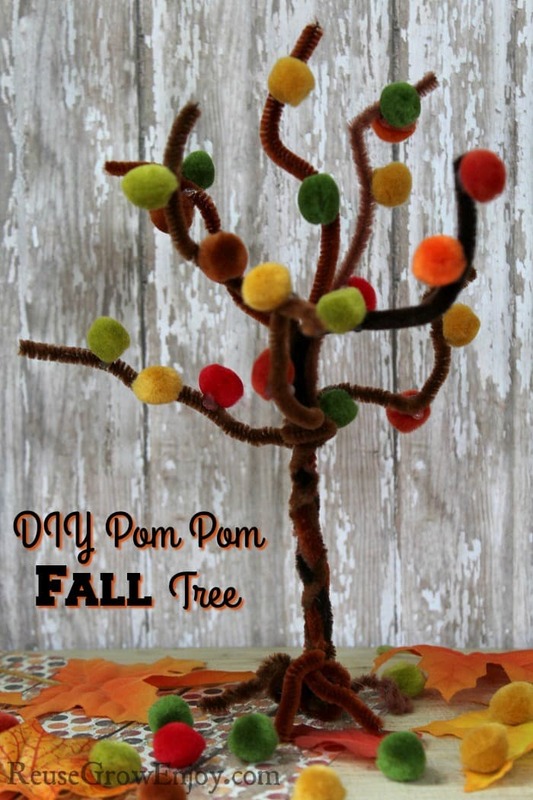 This is a super easy fall craft to make a pom pom fall tree. Not only is this easy to make, you can get the supplies to make it for just a few bucks. I so love when you can do crafting projects on the cheap. After you are finished, you will have a lovely splash of fall in your home. You can display it on a window, mantel or on a table/stand. Begin by gathering your pipe cleaners into a stack. Line them up so ends are all equal and begin to twist them at the center. By twisting them you will gently bind them together. Once the center is twisted, fan out the top pieces to create branches. Bend and twist them into shape so the top looks open and full. 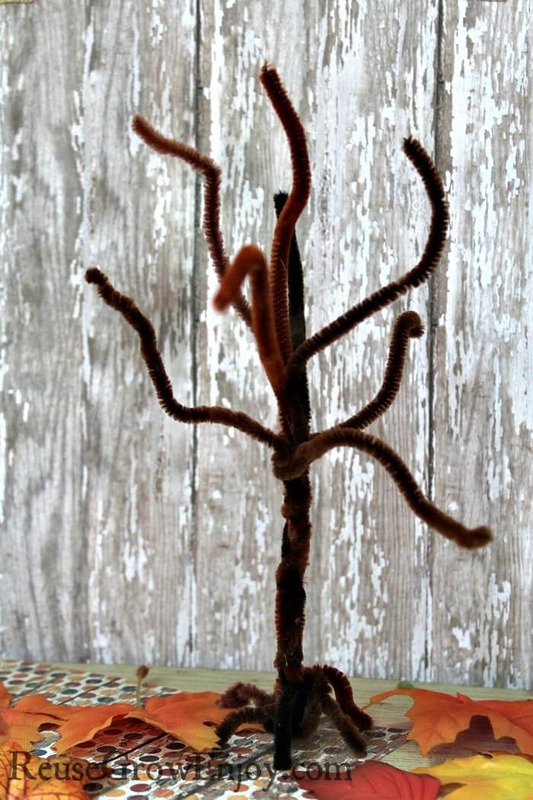 At the bottom of your tree, you will take the last ½ inch to inch of pipe cleaners and create “claws” or hooks that will hold the tree up. You might have to bend and play with them a bit to get the tree to balance. 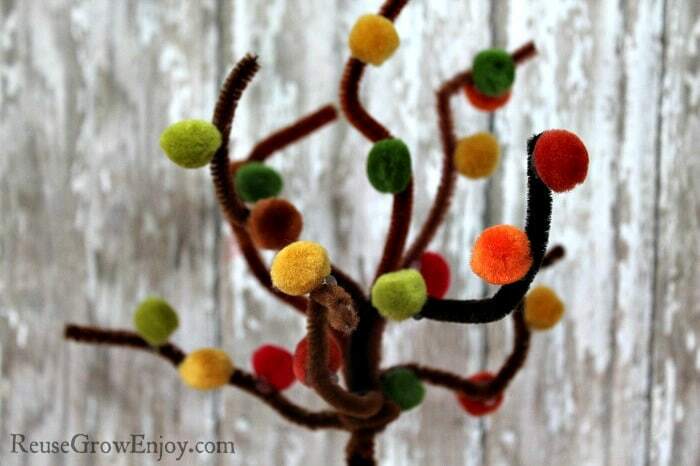 Add dabs of hot glue all over the tree branches and press the pom poms to it in a fashion and pattern of your choosing. Continue adding poms until the branches are nice and full. Be sure to mix up the colors so you get that nice fall look to your tree. Your pom pom tree is now ready to be displayed! Do you have a fall craft that you like to do? I would love to hear it in the comment section below! If you like this craft, here are a few others you may want to check out.